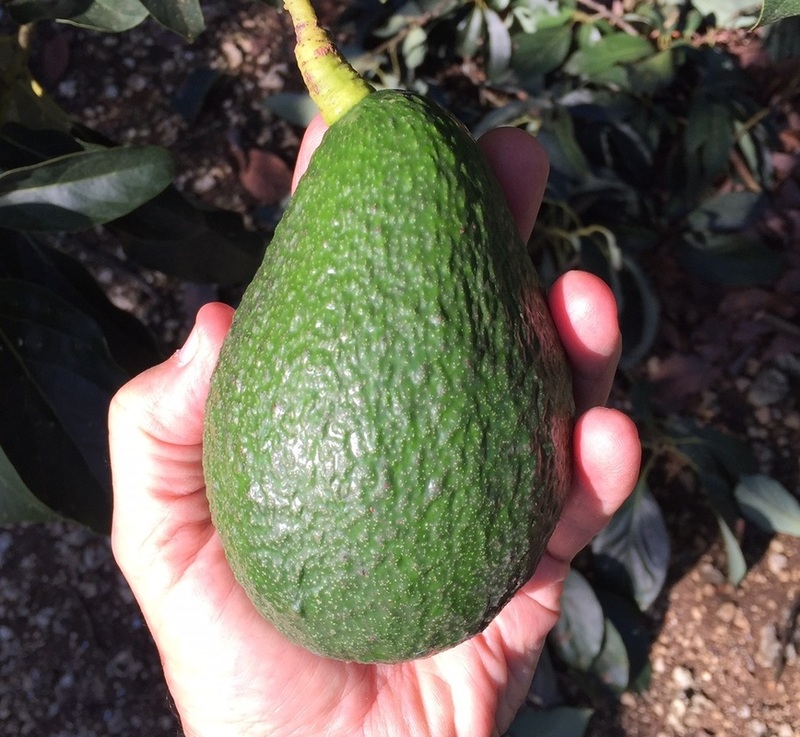 Yamagata Avocado did best taste wise in this Hawai‘i Avocado Industry Analysis. It is grown there with apparent success. This variety is sold by a nursery in Florida. They say the fruit matures in Florida in March-April. That being the case, what is apparent is that the tree has to hold the fruit for 12-14 months. My potted tree is flowering right at this time, first week of March 2012, so for fruit to mature in March-April it has to hold it until next year, go through the winter, a couple of nights of freezing temperatures, possible storms etc. It is possible that if you leave the fruit on the tree to the end of March and April this will be an alternate bearer. None the less, a reasonable price to pay for having local avocados when there are none. I'm tired of buying imported Hass and Dominican Avocados that once you open them are uneatable. The other issue is the Hawaiian "Terroir", it is quite diferent so we are not sure how if would taste here. I have two trees that were purchased in 2011. One went on the ground in my grove. It was planted in June 2011, There is a video in Youtube. It does not look too good. Is like the tree does not like it there. See the pictures below taken in early March 2012 almost nine months after planting, looks the same. Also the trunk is turning black, no idea. The potted one I keep at home in a 5 gal pot and it is doing better. A friend from Hawaii says the Yamagata is grown there at higher elevation, well in Homestead I'm on high ground at 10.5 ft above sea level. It will take a couple of more years to hopefully get a fruit, then we'll know. Update March 28, 2013: The tree planted in the grove June 2011 is basically the same size, it is alive but not doing much. See the picture with today's date. At the insistence of a friend. I top worked a tree with Yamagata bud wood from the tree at home. Did this in January 6, 2013. That tree is doing fine, growing strong. This makes me wonder where do Top Tropicals get their trees from and the root stock they use. June 1, 2013: The tree grafted in January 6, 2013 is taken off. See picture. May be next year we get to try a Florida grown Yamagata. December 20, 2013: The top worked tree is doing very well, green, healthy and growing fast. Survived its first summer in South Florida. It just started to build flower buds. Great sign. The tree planted in the root stock from Top Tropical is not moving at all, makes me wonder, and confirms may practice to get trees under evaluation to root stocks that I know as soon as possible. February 14, 2014: The top worked tree is doing great. See picture. Buds are beginning to form and push, not sure if they are flower of leaves, it has an unusual form. Since this tree is so strong, I will cut down the Top Tropical tress because is not moving at all. March 5, 2014: This tree is unusual, all terminals push out leaves and the flowers come behind. That happens in all terminals. I have seen trees that do both, never one as clear as this. A pleasant surprise, may be this is the year that we can determine the maturity date of this fruit in Florida. May 26, 2014: The tree did not set any fruit. I saw one small one today, I would be surprised if it keeps it. One more year to wait. February 26, 2015: This season is crucial for this tree. It has the size, health, age and vigor to set fruit. The tree is building flower buds and seems like that could be open in 2-3 weeks depending on temperatures. April 4, 2015: The Yamagata Avocado tree has been in full bloom for several days. It is a huge bloom, similar to the Murashige, probably related. I certainly hope the tree sets fruit. June 13, 2015: Checked on the Yamagata tree to see if by chance I missed a fruit. None found. Does not seem like this tree has a future here. November 11, 2015: to my surprise I found a fruit in the first tree I planted. This tree has taken a while to get moving. No idea when to pick this fruit in So. Florida, is very low close to the ground so I'm not sure it will survive. Will get a picture soon. Tree number two was girdled a few days ago by Rich a friend and leading authority in this matter. ​Last Report: After 3-4 years of working with this tree, only one fruit was set. The top worked tree was huge should have set 100's of fruit. This is definitely not suitable for Florida and probably no where else.